Samsung Galaxy J3 Prime Price, Review, Deals, Cost, & Sales! Home / Compare Cell Phones / Samsung Galaxy J3 Prime Price, Review, Deals, Cost, & Sales! The Samsung Galaxy J3 Prime is a budget phone from Samsung designed with a 5" screen, 5 MP camera and a 2600 mAh battery. It comes with a 5" TFT LCD with 720 x 1280 resolution. 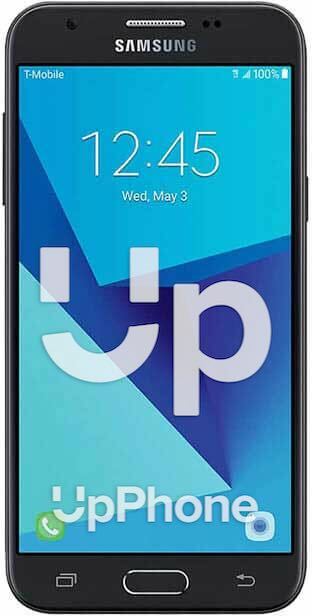 In comparison, the Samsung Galaxy J3 (2018) has a 5" IPS LCD screen with 1280 x 720 resolution. The J3 Prime is equipped with a 5 MP f/1.9 aperture camera capable of recording 1920 x 1080 videos @ 30fps. It also has a 2 MP f/2.2 aperture front camera. For the onboard drive, it comes with a 16 GB internal drive with support for up to 256 GB via microSD. The Galaxy J3 (2018) also has the same capacity and supports the same 256 GB via microSD. It has a side firing-speaker located on the right side of the phone. It gets pretty loud and is positioned way better than those located at the rear. The J3 Prime runs on Exynos 7570 with four cores clocked at 1.5GHz. Performance is ok and is capable of multitasking but will slow down with heavy apps and games with high frame rates. While the Galaxy J3 (2018) has the Exynos 7570 Quad with four cores also clocked at 1.4 GHz. Powering the device is a good 2600 mAh battery. Talk time can last up to 19 hours over 3G network, web surfing for 11 hours and audio playback for 71 hours. Lastly, it does not support fast charging nor wireless charging. The J3 Prime supports dual sim. It has a split screen feature for multitasking. Comes with a side-firing speaker. The J3 Prime has an HD display.